In lieu of flowers memorial donations may be made to Cedar County Memorial Hospital or Community Springs Healthcare and left at the funeral home. Orville Dean Sibley, age 82, of El Dorado Springs, Missouri, passed away on December 26, 2014, at Cedar County Memorial Hospital surrounded by his family. He was born in Cedar County, Missouri, on December 13, 1932, to John Wesley Sibley and Marjorie Blanche (Ozenberger) Sibley. Orville was united in marriage to the love of his life, Peggy Belle Thatch, on September 1, 1952. After graduating from El Dorado Springs High School in 1951, he went to college at Pittsburg State University, where he played football his first two years. He attended classes and worked full time at Dickey Clay Manufacturing Co. He was in the ROTC program, and upon his graduation with a B.S. degree in Business Administration, was commissioned as a Second Lieutenant in the Army Reserves. Shortly after graduation he was transferred by Dickey Clay and moved with his family to Texarkana, TX. He worked there until he was called up to active duty and stationed at Fort Sill in Lawton, OK. After completing his active duty, he remained in the Army Reserves and attained the rank of Captain and commanded the B Battery in Bolivar, MO. After returning to El Dorado Springs, Orville decided to go into the grocery business with his in-laws. They first worked on North Main Street, but then opened the Sibley & Thatch United Super on Highway 54, which Orville ran until his retirement in 1998. He was known for his generosity and often helped those in need by supplying groceries or cash, usually anonymously, especially if children were involved. Orville was saved and baptized as a young man while attending Union Hall Baptist Church. He loved studying Bible history and kept his Bible on his night stand. He was devoted to reading his Bible each evening at bedtime until his stroke in July 2012 made reading and comprehending difficult. He attended the First Baptist Church, where he taught a young men’s Sunday School class for several years. Orville was active with a group of other local business men who tried to get companies to move to El Dorado Springs to help the economy and make the community grow. He had a part in bringing the first cable company to town, as well as starting Laminated Beams and the El Dorado Springs Nursing Home. He was a scout leader for several years, served on the city council, and was a member of the El Dorado Jaycees. He was always involved in activities to further the growth of our little town. After forty years in the grocery business, Orville retired. He loved going to his farm and working with his bird dogs, which he entered in field trial bird dog competitions. He also enjoyed doing a little fishing now and then. Preceding Orville in death were his parents; three brothers: Ronald, Wayne, and Wilmer; and two sisters: Elinor McCann and Nadine Hoover. Survivors include his wife, Peggy, of the home; four sons: Nick and wife, Tina, of Springfield, MO, Kent and wife, Kathy, of Keller, TX, David and wife, Rhonda, of El Dorado Springs, and Kirk and wife, Karen, of El Dorado Springs; one daughter, Dana Whitesell and husband, Ronnie, of El Dorado Springs; fourteen grandchildren: Liberty Ament Sibley, Suzannah Belle Sibley Garcia, Kelsey Jean Sibley, Captain Samuel Burk Sibley, Tarah Lane Sibley Clark, Jacob Kent Sibley, Alex Ross Thompson Sibley, Jonathon Dean Sibley, Jayme Leigh Sibley, Jenny Marinda Sibley, Kate Morgan Sibley, Madison Paige Sibley, Tate Bruce Whitesell, and Kama Danette Whitesell Deschane; and three great-grandchildren: Eisley Belle Garcia, Lillian Lane Clark, and Conner Braden Olivera. 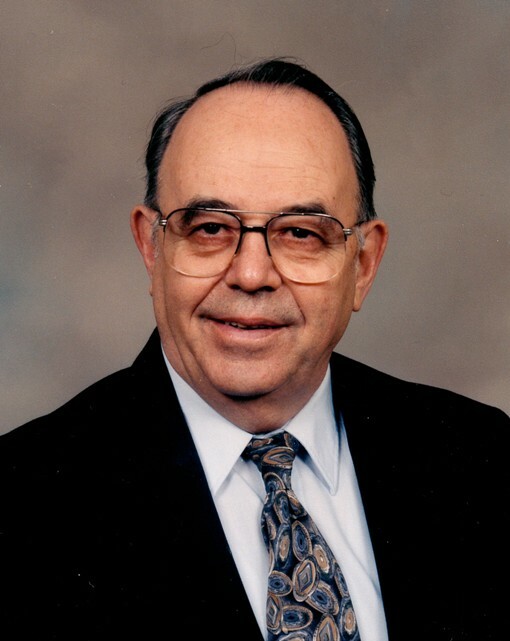 Funeral services for Orville Sibley were held on Monday, December 29, 2014, at 2:30 p.m. at the El Dorado Springs Church of God (Holiness) with Rev. Brent Bland and Rev. Jack Daniel officiating. The family received friends on Sunday, December 28, from 6:00 – 8:00 p.m at Bland-Hackleman Funeral Home. Interment was at the El Dorado City Cemetery under the direction of Bland-Hackleman Funeral Home. Pallbearers were: Tate Whitesell, Jonathon Sibley, Jake Sibley, Matt Deschane, Stephen Garcia, Alex Sibley, Captain Sibley, Jay Schwalm, and Kevin Costello. Honorary pallbearers were: Dr. Bill Neale, Clarence Hackleman, Ron Sewell, Steve Lamphier, Bob Leeper, Dr. Robert Magee, Orvel Lee Cooper, and the late Dr. Henry Bender.